MST3K Ep. 601 - "Girls Town"
A mysterious death lands a teenage girl in a reform school headed by good-hearted nuns, but the girl's sister is in trouble. 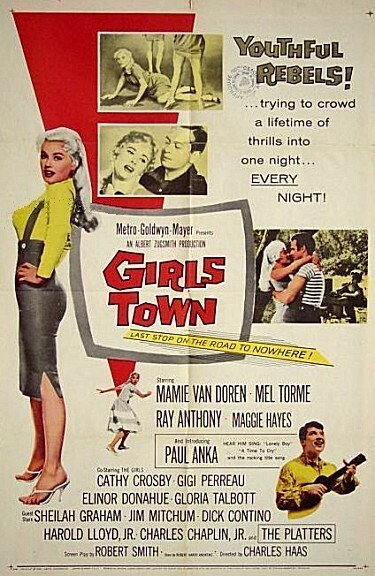 Includes Mamie Van Doren as Silver, Mel Tormé as Fred, and Paul Anka as crooner Jimmy.